KVM-over-IP Dominion LX là dòng sản phẩm KVM-over-IP dành cho doanh nghiệp vừa và nhỏ. Nhà quản trị mạng có thể truy cập tại Cabinet hoặc từ xa thông qua môi trường IP để quản lý đến 16 server đến mức BIOS 24×7. Khả năng kết nối mở rộng của Dominion LX có thể kết nối điều khiển lên đến 256 server. Dominion LX hỗ trợ High Definition (HD) với độ phân giải 1920×1080. Không giống các sản phẩm KVM-over-IP dành cho doanh nghiệp vừa và nhỏ khác, Dominion LX là sản phẩm hiệu quả và hiệu suất cao với chi phí đầu tư thấp, khả năng truy cập từ xa để cài đặt hệ điều hành, phần mềm thông qua Universal Virtual Media™. Với Dominion LX, doanh nghiệp có thể truy cập và quản lý từ xa các server chứa những thông tin quan trọng của doanh nghiệp bất kỳ lúc nào. Hỗ trợ truy cập local và từ xa cho một hoặc hai remote user với local port độc lập và non-blocking access. Raritan’s Universal Virtual Media™ – mount thiết bị media từ xa giúp nhà quản trị điều khiển server từ bất cứ nơi nào. 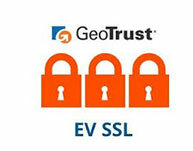 Advanced Encryption Standard (AES) – nâng cao tính bảo mật với mã hóa 128-bit và 256-bit. Hỗ trợ đa ngôn ngữ Asian. Bảo mật truy cập và điều khiển từ xa mức BIOS để quản lý server ngay cả khi hệ điều hành không hoạt động. Hiện đại, giao diện dễ sử dụng dựa trên trình duyệt web phổ biến, dễ dàng truy cập và quản lý server từ xa . Absolute Mouse Synchronization™ đảm bảo đồng bộ tín hiệu chuột của màn hình remote và server giúp dễ dàng trong việc quản lý từ xa. Kết nối đến multiplatform server bằng Computer Interface Modules (CIMs) và cáp MCUTP bundle với chi phí thấp. Khả năng xếp lớp kết nối các Dominion LX với nhau có thể quản trị lên đến 256 server từ một console truy cập. Next-Generation, Modern Hardware Architecture Dominion LX is a true next-generation switch with an advanced hardware and software architecture specifically for small to midsize businesses (SMBs). This innovative design, found in three hardware models, enables new levels of KVM-over-IP performance, reliability, usability, compatibility and security. High Performance, Next-Generation Video Hardware with HD Resolution Dominion LX’s KVM-over-IP engine uses Raritan’s next-generation technology, providing users with ultra-fast video screen refresh, 1920 x 1080 high definition remote video resolution, and advanced color calibration. Quick and Easy Appliance Setup – “Plug and Play” Mouse Synchronization Dominion LX is a secure, Linux®-based hardware appliance. All standard Dominion LX features, including authentication and Web access, are built into the unit and do not require the use of an additional server. Three USB Ports for Keyboard, Mouse and USB Media The Dominion LX has three USB 2.0 ports on the back panel, for local keyboard, mouse and USB media. 1U Form Factor The Dominion LX is only 1U (UST sized) in height, making the Dominion LX an extremely rack-efficient KVM-over-IP solution. Cat5 Cabling Dominion LX interconnects with each server via standard, economical Cat5 (UTP) cabling. Servers may be located up to 150 cable feet from the Dominion LX unit. Users can connect up to 8 or 16 servers to each Dominion LX via Cat5 cabling. Multiplatform Computer Interface Modules (CIMs) Dominion LX supports Dominion CIMs, Virtual Media CIMs, MCUTP cable CIMs, and Serial CIMs. Dominion CIMs operate at distances of up to 150 feet from the Dominion LX switch, depending on server resolution. Modem Port for Emergency Access The Dominion LX modem port provides emergency remote access if the data network is unavailable. One or Two Concurrent Remote IP Users Dominion LX provides KVM-over-IP access to one or two simultaneous, remote users depending on the model purchased. Session sharing provides for full, unblocked local port access. Remote Network Access – KVM-over-IP Users can access Dominion LX from anywhere on the network (LAN, WAN, Internet and dial-up), allowing administrators to troubleshoot, reconfigure, reboot and even re-image servers remotely. Fully independent Browser Based Local Console Port The Dominion LX features a common, browser-based interface and full management functionality at the local port, providing a consistent user experience that is easy to learn. In addition, convenient hotkey switching between servers is supported. Flexible Tiering (Cascading) of up to 256 Servers Customers can connect (e.g. tier) multiple Dominion LX switches together, and access the attached servers in the data center or from a remote PC. Up to 256 servers can be accessed via a consolidated port list or via search (with wildcards). Asian Languages – Japanese and Simplified/Traditional Chinese The Dominion LX’s remote HTML user interface and the KVM clients support the Japanese, simplified Chinese and traditional Chinese languages. Dual Stack IP Networking – IPv4 and IPv6 The Dominion LX provides dual stack IP networking with simultaneous support of IPv4 and IPv6. Virtual Media The benefits of virtual media – mounting of remote drives/media on the target server to support software installation, remote booting and diagnostics – are available in all the Dominion LX models. Multi-platform support Raritan’s Windows and Java-based KVM clients provide multiplatform access and control on Windows, Linux, Sun/Solaris and Macintosh desktops. Firmware Upgrades over Ethernet Dominion LX firmware upgrades can be downloaded directly from the Raritan website, and upgrades can be performed via the network. Dominion LX D2CIMs connected to the switch will also be upgraded. Full-Screen Video Display with Flexible Video Scaling With the Dominion LX’s full-screen video display, users appear to be directly connected to the target server, without window borders or toolbars. With the “pop-up” menu bar, users can run KVM client functions while in full-screen mode. With the Dominion LX’s flexible scaling, the user is not restricted to fixed-size windows, but can drag the window border to the desired size, including small thumbnail views. Port Scanning and Thumbnail Views View selected servers as a slide show and/or real-time thumbnail views. The user can select a list of servers, set the scan interval and quickly access a given server. Works remotely and locally. Fast Video Switching Once the Dominion LX’s advanced video resolution detection has calculated a target server’s video characteristics, connections to the server occur almost instantaneously. This gives the Dominion LX user immediate access in most cases to all connected servers. Absolute Mouse Synchronization The Absolute Mouse Synchronization feature is the ultimate mouse synchronization solution. For Windows and Mac® servers with a compatible USB mouse port, there is no need to adjust the mouse settings on the target server – plug-and-play. This reduces installation time and ensures that the remote and target server mouse pointers never go out of synchronization. This feature is enabled by the D2CIM-VUSB and D2CIM-DVUSB virtual media CIMs. Intelligent Mouse Synchronization™ Most KVM switches require the customer to manually adjust the mouse motion and mouse acceleration settings for all connected target servers for each KVM user. With the Intelligent Mouse Synchronization option, manual configuration is eliminated for many servers. The system can automatically adjust to the server’s mouse settings, enhancing the plug-and-play operation of the mouse. Transparent Keyboard Handling Transparent keyboard handling means that virtually all user keystrokes are sent to the target server and not processed by the desktop client. This key feature obviates the need for most keyboard macros and allows the user to directly interact with the target server with a higher level of connectivity. AES Encryption The Dominion LX utilizes the Advanced Encryption Standard (AES) encryption for added security. 128-bit and 256-bit AES encryption is available. AES is a U.S. government – approved cryptographic algorithm that is recommended by the National Institute of Standards and Technology (NIST) in the FIPS Standard 197. Video and Virtual Media Dominion LX securely encrypts the video stream, keyboard and mouse data, and virtual media. Local and Remote Authentication Dominion LX integrates with industry-standard directory servers, such as Microsoft® Active Directory, using either the LDAP or RADIUS protocols. This allows the Dominion LX to use pre-existing username/password databases for security. Configurable Strong Password Checking The Dominion LX has administrator-configurable, strong password checking to ensure that user-created passwords meet corporate and/or government standards and are resistant to brute force hacking. Local Authentication with Users, Groups and Permissions In addition to external authentication, the Dominion LX supports local authentication. Administrators can define users and groups with customizable administration and port access permissions. Multiple Security Features Dominion LX offers many additional security features, including password aging, inactivity timers, group permissions, per-port authorization, etc.